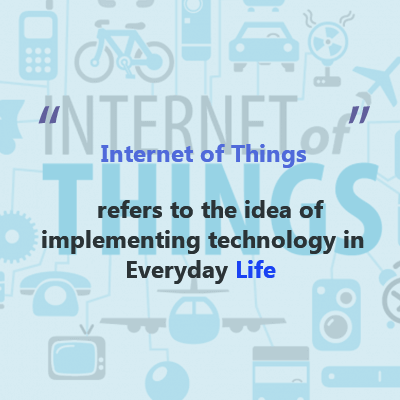 The IoT also known as the Internet of Things is a system integration of devices which not only include computing but also mechanical and digital machines and the like. The IoT is designed with a motive to integrate all the devices over a network and effectively carry out data transfers and control the data objects using a set of commands specified according to the need of the requirements. This particular technology aims to provide effective connections between people and the devices facilitating automation of technology used in our day to day lives. Whether it is the farm animal with a bio chip transponder or the highly sophisticated automation and smart home feature via biometric security, IoT is one big technology, worth being implemented for better ease of functionality on a highly advanced scale. The whole strategy behind this technology is to bring digitalization of the data and create the perfect rendering of essential functionalities in quite an effective manner. IoT is thus predicted to become the revolutionary technology facilitating greater ease of concept implementation and integration into the mainstream lives of the people.